What comes first in our mind when we listen this word PERFUME? “Fragrance”. And when we give a thought about its packaging, we imagine a classy glass bottle with an innovative shape, design, cap and what not…. But when it comes to carry it while travelling, well, we may end up thinking number of ways to carry this glass bottle and save it from any damages or we may even end up not carrying it at all. This new packaging format is of convenient size to fit anywhere in small spaces. This comes in varied colours to compliment the style, is free from any mess, no dripping and overall gives a smart look and appeal to your product. Net sprays in 25ml product is equivalent to 350 sprays, lasts longer, hence, gives value for money. Not only for perfume, this technology can be implemented for diverse range of products such as facial sprays, toner, cosmetic spray, makeup remover, automotive (freshness sprays), room freshener, deodorant, and similar products. 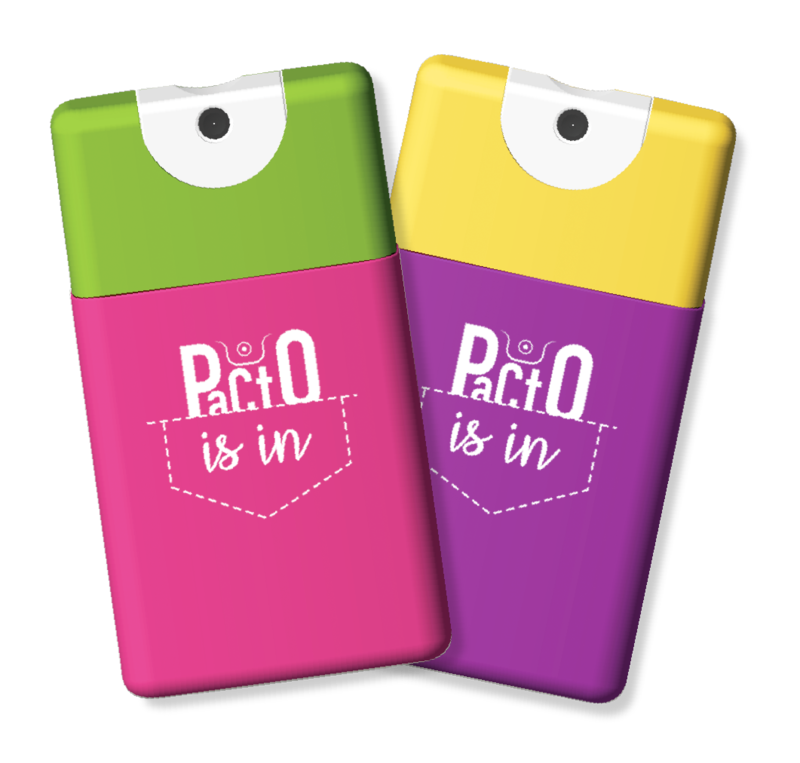 So, this product PACTO complements to the subject - Pocket Friendly. First, it is a small sku that means less cost (pocket friendly) than that of bigger variants. Second, it fits into your pocket perfectly.